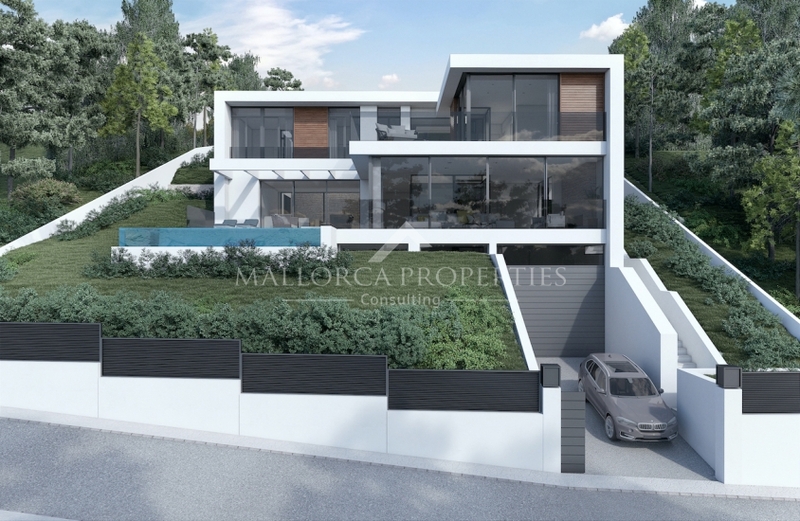 Plot with a project and license in a sought-after residential area. 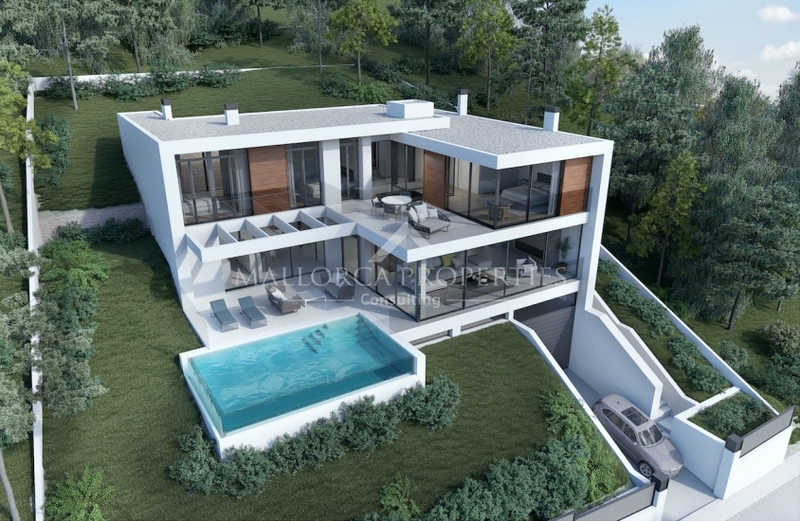 With an area of 838 m², it is situated on the upper part of Costa d'en Blanes with a south-west orientation and open views. 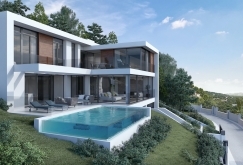 The proposed project would present a modern dream villa with 4 bedrooms, 3 en-suite bathrooms, a kitchen, living-dining area and 1 guest toilet. The ground floor would consist of approx. 158 m² the first floor of approx. 136 m². Extra features: lift, patio, fire place, hall, laundry room, solar panels and a 29 m² swimming pool. 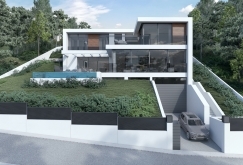 Also included is a garage of 156 m² with 3 parking spaces. However, there is a possibility for a future owner of the plot to construct a project independently. Costa d'en Blanes is a residential area located above Puerto Portals and Portals Nous, known for fantastic properties offering views to the sea. Only a few minutes away from the exclusive Portals marina known for a varierty of excellent restaurants and enticing boutiques. Thanks to the good motorway connections, to the east Palma town centre is only a 10 minute drive away and the airport approx. 20 minutes.To the west, Andratx, Port Adriano and Santa Ponsa, are all under 20 minutes away. Several sandy beaches such as Platja de s'Oratori with crystal clear water are situated near Costa d'en Blanes as well as several international schools. Furthermore, many golf courses on the island's south west are not far, the nearest being the prestigious, royal Bendinat golf course.